Travellers looking to get away somewhere exotic before Christmas that’s still unspoiled and little known need look no further than Myanmar. It’s one of the most beautiful and fascinating countries in south east Asia – and it’s easy to get to. This December, luxury travel company Abercrombie & Kent offers savings for guests travelling on its new ‘Myanmar in Style’ journey which showcases all the major highlights, and with hand-picked guides to bring its intriguing history to life. 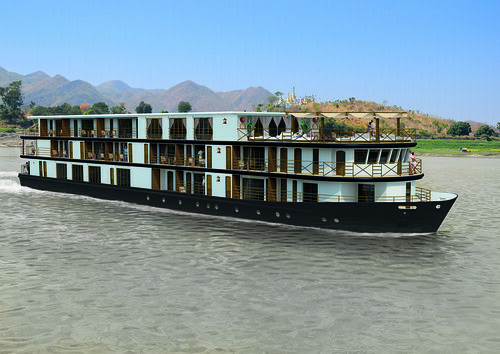 Guests will also be amongst the first to cruise the Ayeyarwady on board the brand new all-suite Sanctuary Ananda. The journey starts in Yangon where a visit to the Shwedagon Pagoda is an unforgettable introduction. The Sanctuary Ananda cruise is for four nights between Mandalay and Bagan, visiting temples, pagodas, palaces and monasteries along the way. Time at leisure on board is filled with special cultural inclusions such as traditional dance performances, ethnic dinners, lectures, cooking demonstrations, yoga and cigar making lessons. Following the cruise, a stay in Inle Lake is a highlight, with beautiful mountain scenery, floating gardens, markets, temples and the traditional leg-rowers.